This is the "PILOT" nametag for those that fly the P-8 Poseiden out of NAS Jacksonville, FL. This nametag comes with velcro already attached. This is the "Naval Flight Officer (NFO)" nametag for those that fly the P-8 Poseiden out of NAS Jacksonville, FL. This nametag comes with velcro already attached. The 'Tigers' of VP-8 fly the P-3C Orion out of NAS Brunswick, ME. 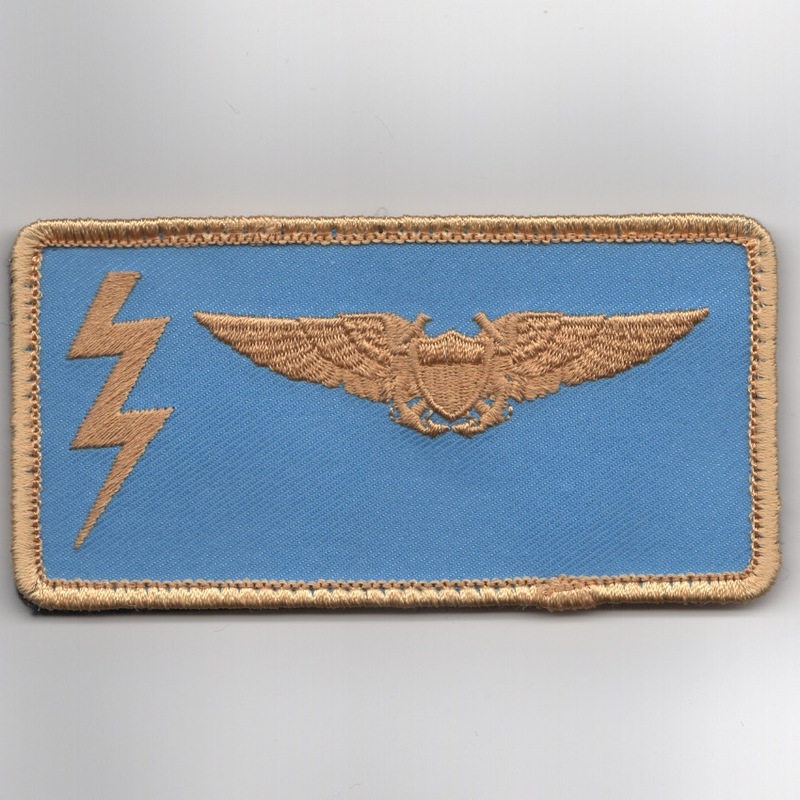 This is the large version of their historical squadron patch from their early days and does not come with velcro attached. The 'Tigers' of VP-8 fly the P-3C Orion out of NAS Brunswick, ME. This is the medium version of their historical squadron patch from their early days and does not come with velcro attached. Patrol Squadron Eight (VP-8) is a U.S. Navy land-based patrol squadron that was based at the Naval Air Station Brunswick, Maine, but is now stationed at Naval Air Station Jacksonville, Florida. VP-8 is tasked to undertake maritime patrol, anti-submarine warfare (ASW), and intelligence, surveillance and reconnaissance (ISR) missions flying the P-8A Poseidon. 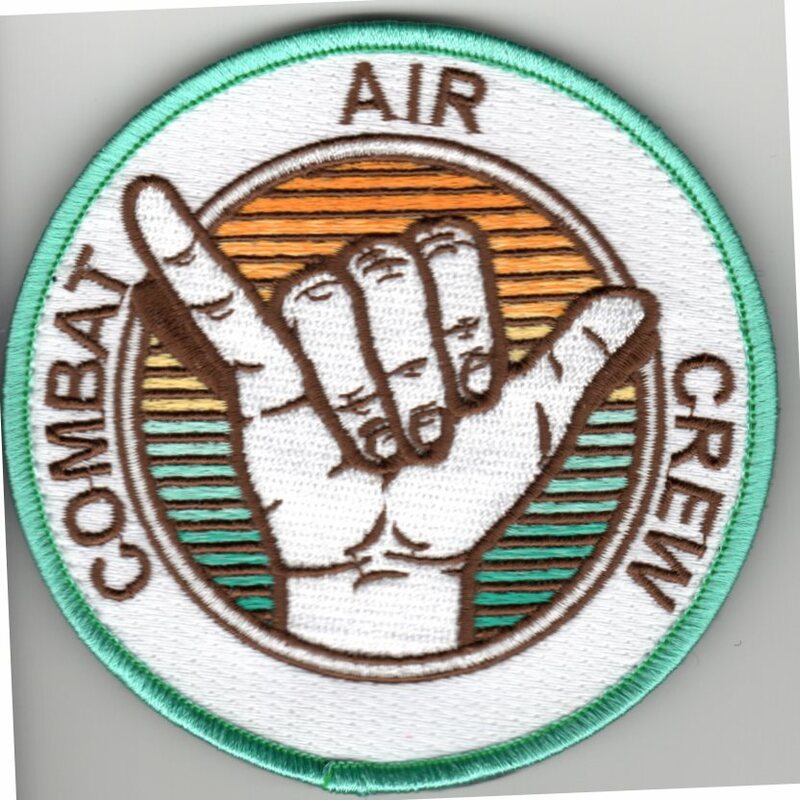 This is another AV8RSTUFF creation of one of a two-set crew patch depicting a "white" hand with the "lock it up" hand signal we all use on the flight line. It comes with velcro attached. 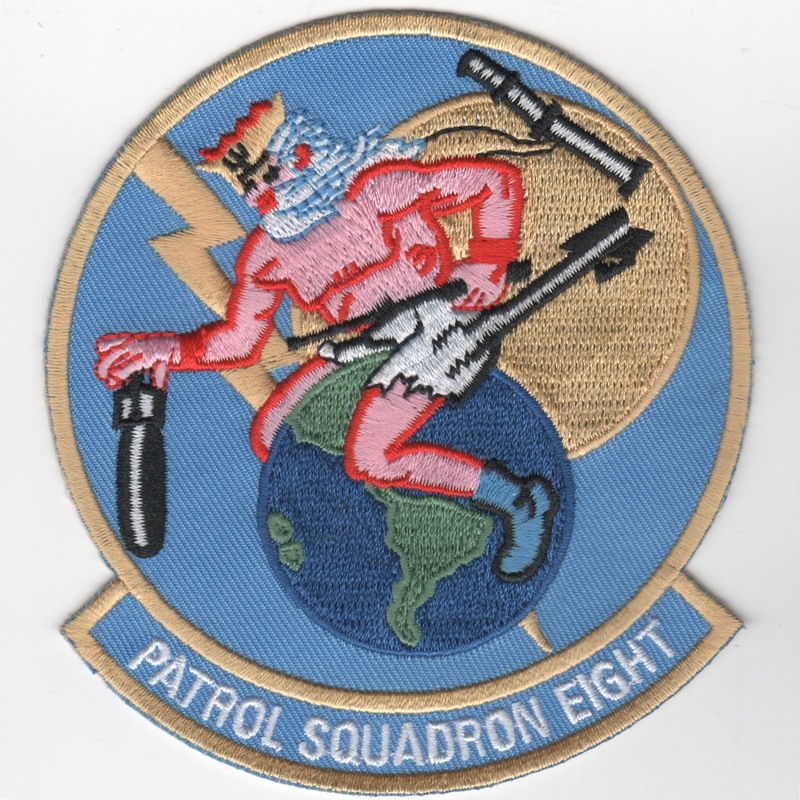 Patrol Squadron Eight (VP-8) is a U.S. Navy land-based patrol squadron that was based at the Naval Air Station Brunswick, Maine, but is now stationed at Naval Air Station Jacksonville, Florida. VP-8 is tasked to undertake maritime patrol, anti-submarine warfare (ASW), and intelligence, surveillance and reconnaissance (ISR) missions flying the P-8A Poseidon. 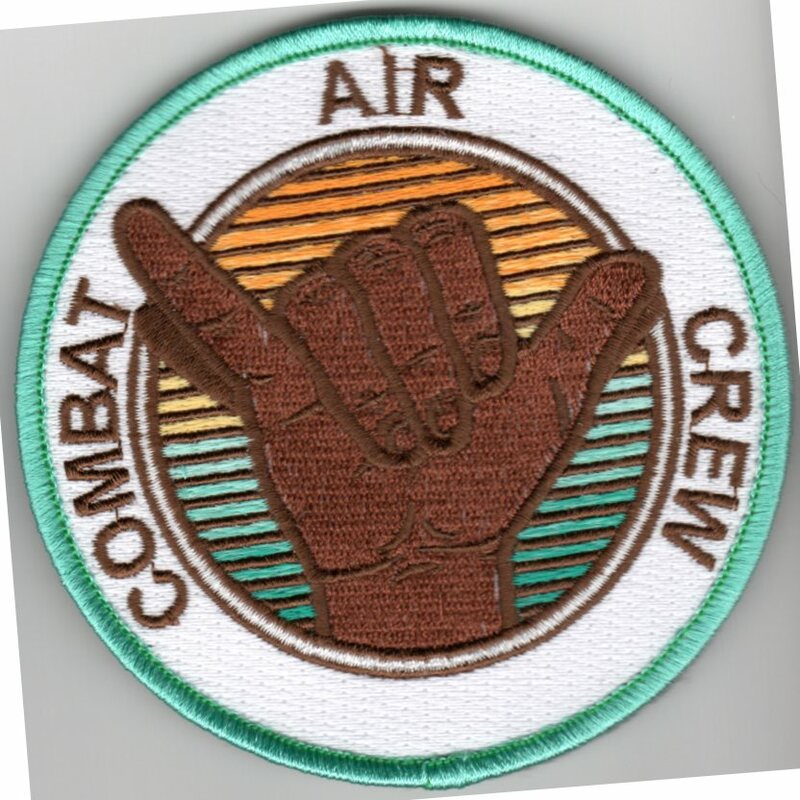 This is another AV8RSTUFF creation of one of a two-set crew patch depicting a "brown" hand with the "lock it up" hand signal we all use on the flight line. It comes with velcro attached. The 'Tigers' of VP-8 fly the P-3C Orion out of NAS Brunswick, ME. They were established in September 1942 and were the first operational users of the Orion. 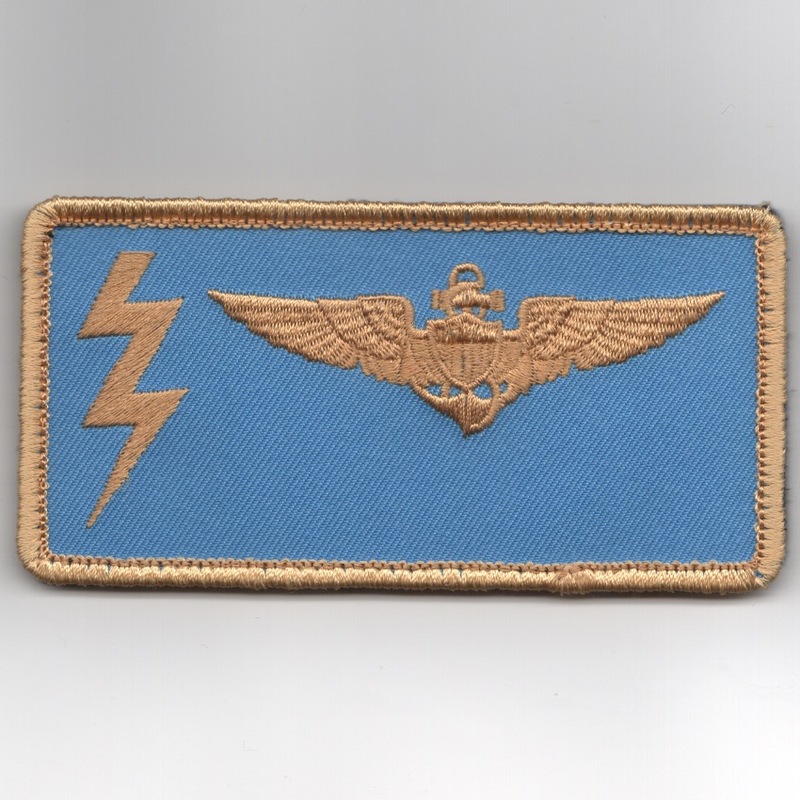 This is the det patch for the Combat Air Crew (CAC)-2 and shows the lady 'ON TOP ON TIME'. The 'Tigers' of VP-8 fly the P-3C Orion out of NAS Brunswick, ME. They were established in September 1942 and were the first operational users of the Orion. This is one of their latest detachment patches that denote operations to Roosey Roads, Puerto Rico. The 'Tigers' of VP-8 fly the P-3C Orion out of NAS Brunswick, ME. They were established in September 1942 and were the first operational users of the Orion. This is one of their latest detachment patches that denote operations from Iceland to Roosey Roads, Puerto Rico. The 'Tigers' of VP-8 fly the P-3C Orion out of NAS Brunswick, ME. They were established in September 1942 and were the first operational users of the Orion. This is their latest detachment patches to Sigonella & Beyond. It's "Buzz Lightyear". Homepage | Order VP-8 Patches!